DTM: Songs vs. dance music. When it’s in the electronic realm the first thing people assume is that it’s sample-driven and that it’s not really a song. Your a songwriter. You write songs! 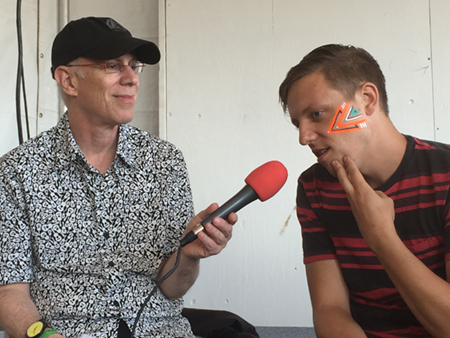 Robert DeLong: I grew up in Seattle where I was listening to a lot of stuff that was songwriter-driven. So when I came to electronic music I think that was something that overwhelmed me because it was instrumental, but I grew up with jazz so I could connect with that part of it. Now I will produce tons of instrumental dance music on my own – really for no one that nobody will hear. But that’s how I cut my teeth. And I take it back to my three and a half minute song with verses and choruses that are to me a way to deliver a message. Or to show off some unique sound set in a digestible form for the common listener.